Located to the southeast of Sanya, Yalong Bay is a 7.5-km crescent-shaped bay. Also known as the Yalong Bay National Resort, it is one of the most famous scenic spots in Hainan Province.Visitors are attracted by its crystal blue sea, warm sand beaches and endless rolling hills. Its clean sea waters make it a nice place for diving. There are various kinds of tropical fishes. 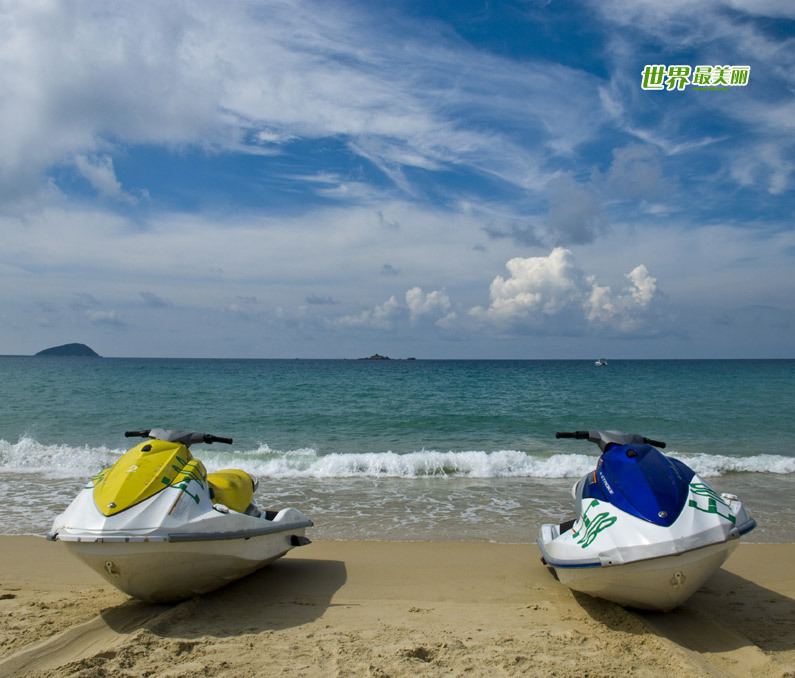 It is an ideal place for relaxation, water sports and scuba-diving.